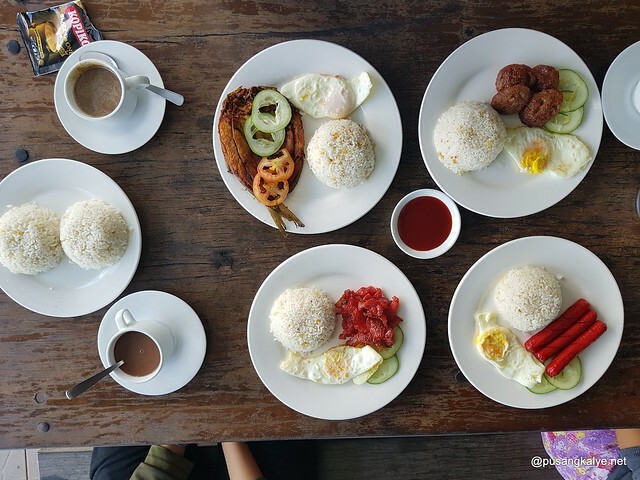 If there is one place we keep coming back to in Tanay Rizal, it's Ten Cents to Heaven. 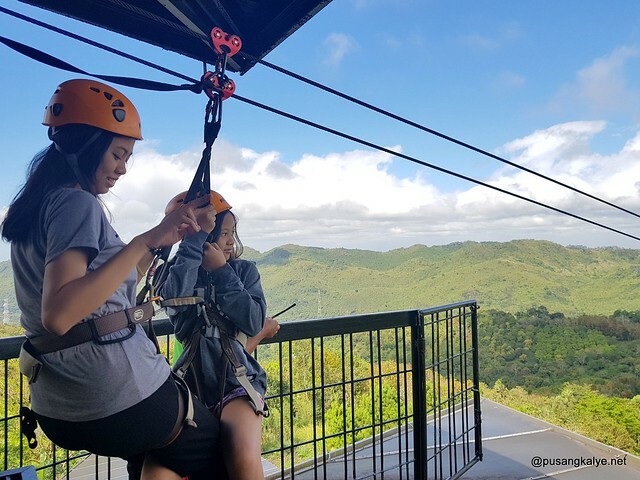 We were here before it officially opened in 2013, again in 2015 when they opened the zipline section which was at that time one of the longest in Luzon and again last month. 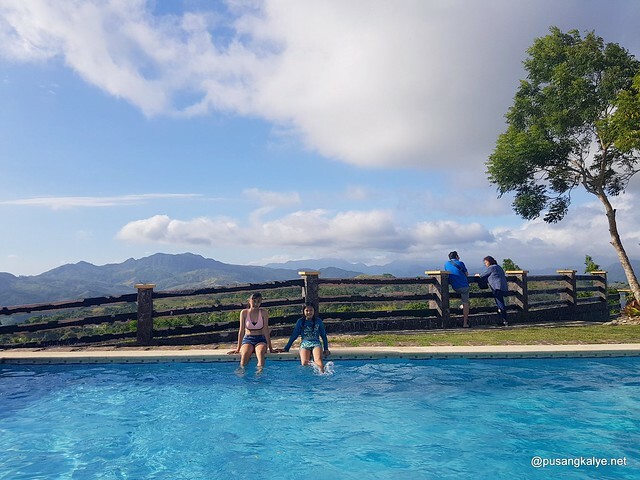 It is interesting how we witnessed how the place has transformed from an accommodation by the hills to escape the chaos of the city into a leisure camp complete with facilities for recreation and team building activities. Each time we come back, there is always something new to experience. And that is the beauty of this place. It keeps evolving and surprising even the frequent patrons. No wonder we keep coming back. This was actually by request of Angel, my wife's youngest sister as a treat for her birthday. 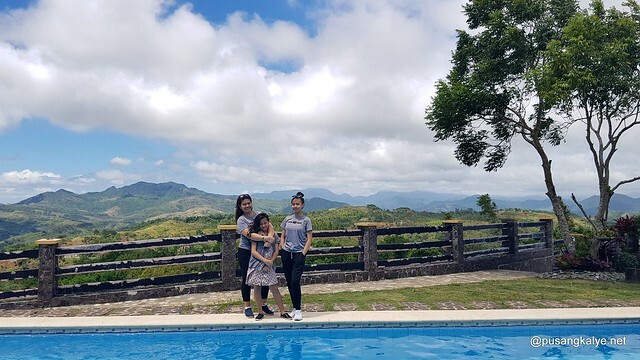 Along with her and wifey, we also brought our niece, Jhanine, with us and it was another weekend bonding filled with fun and excitement. Not only the kids enjoyed it but we adults similarly had a great time. This place will make everyone of all ages fall in love. 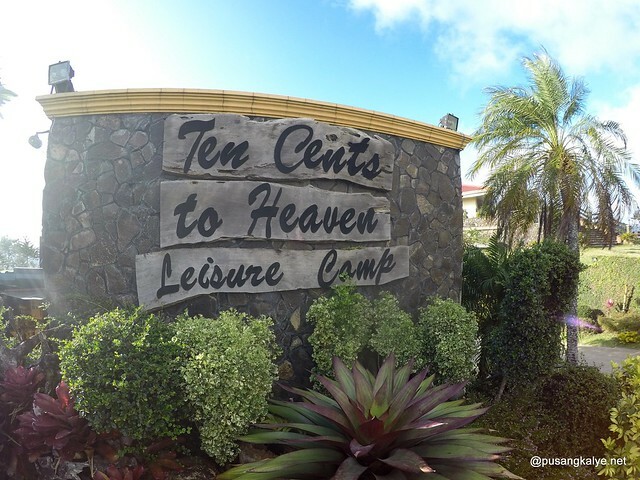 Here are the 10 Reasons Why We Keep Coming Back to Ten Cents To Heaven Leisure Camp. 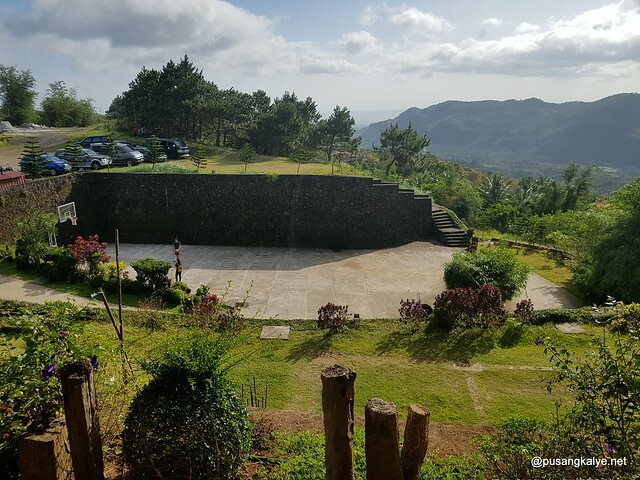 The mountain region of Tanay Rizal has a weather very similar to that of Tagaytay. That said, temperature could drop low at night and early morning and is not very hit during the day especially during December-February season. So, one might ask if swimming pools are a good idea. But I have seen the place with and without the two (2) existing pools and I say I like it with the pool. 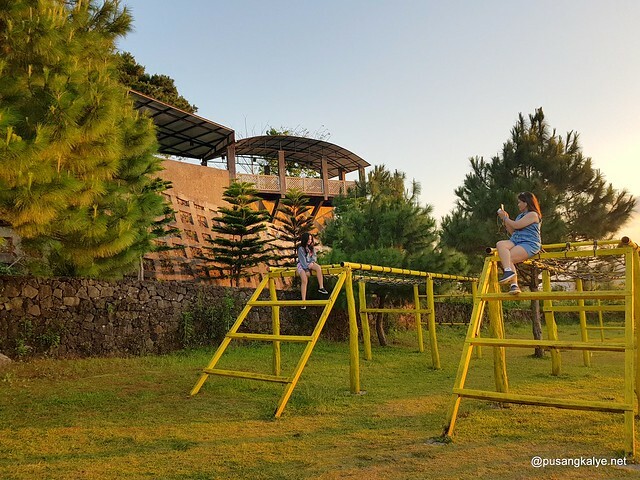 It certainly adds dimension to the place and an added activity to especially during summer. 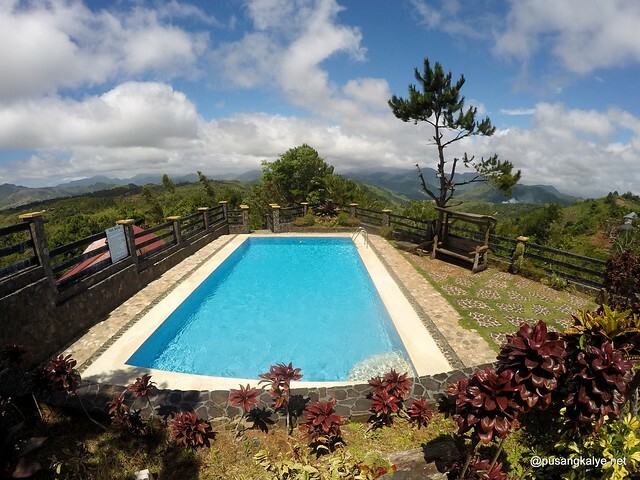 We came early March when temperature is just starting to be summer-like but we enjoyed swimming here with the kids. 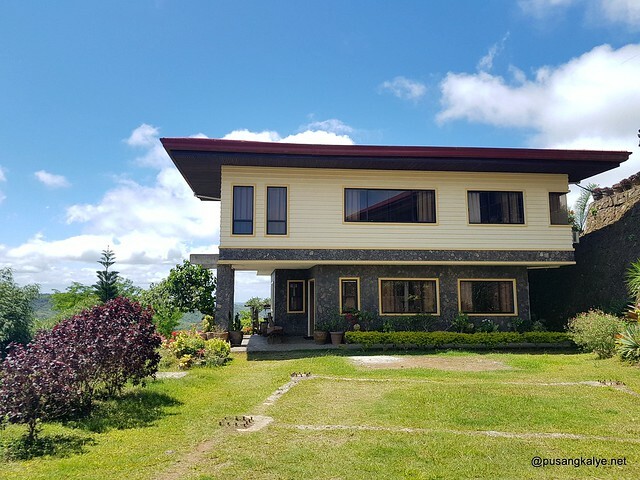 The location being at the highest section of property makes for a breathtaking view of the mountains from afar and the lush vegetation around. 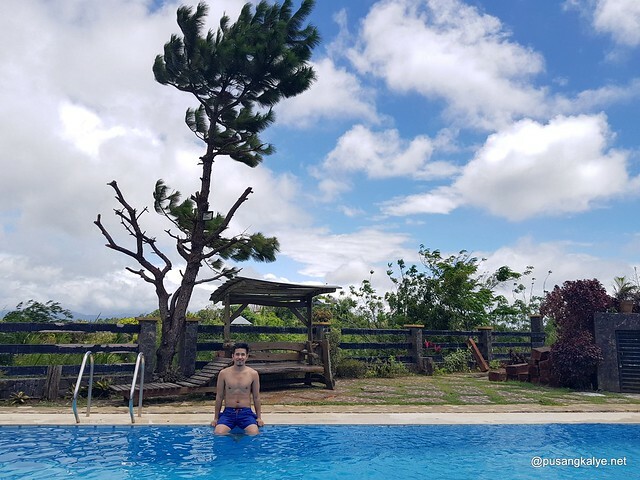 This pool-in-a-mountain view is something that makes Ten Cents ti Heaven a standout! 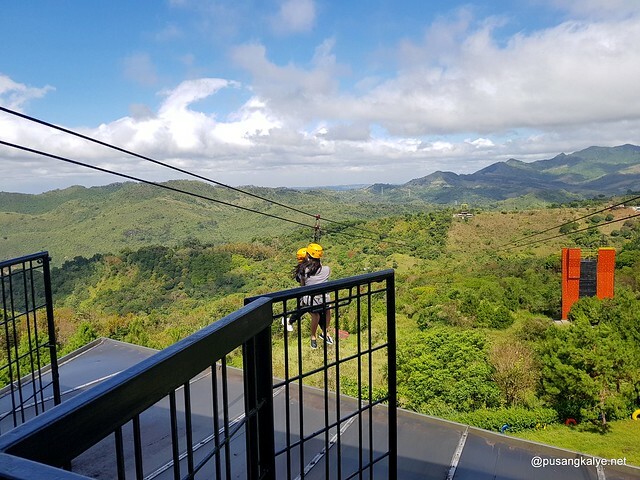 There are so many ziplines anywhere in the Philippines. The biggest joke is the one in Mall of Asia by the bay. It is quite sickening actually if all that a place can offer is a zipline. Thus, I am not that much of a fan of ziplines. But the one at Ten Cents is an exemption. 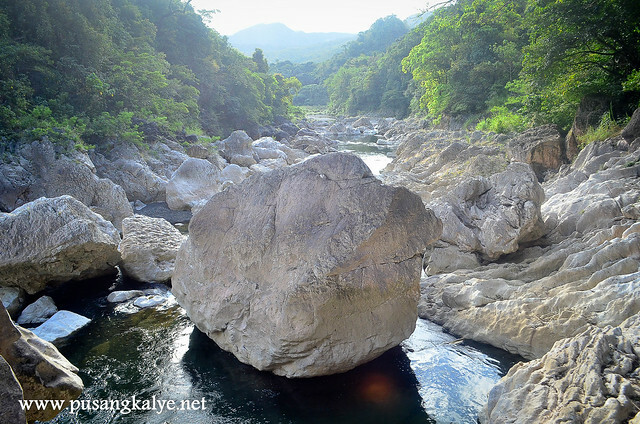 The reason because it is one of the longest in the Philippines. 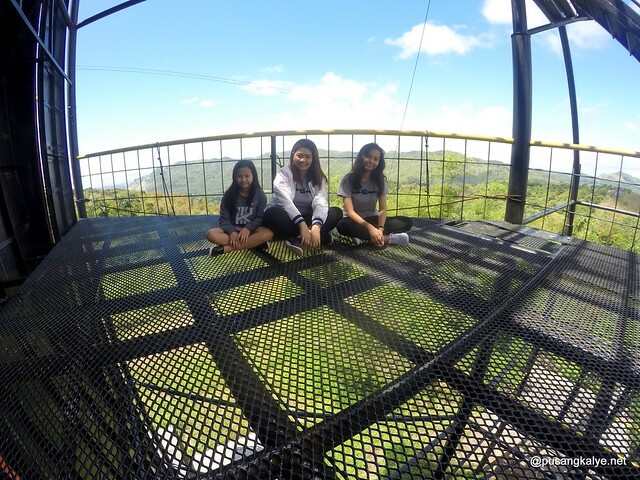 Plus the expansive view of the mountains and the high drop would thrill anyone. At 600 pesos one way and 900 pesos two way, this is very reasonable. 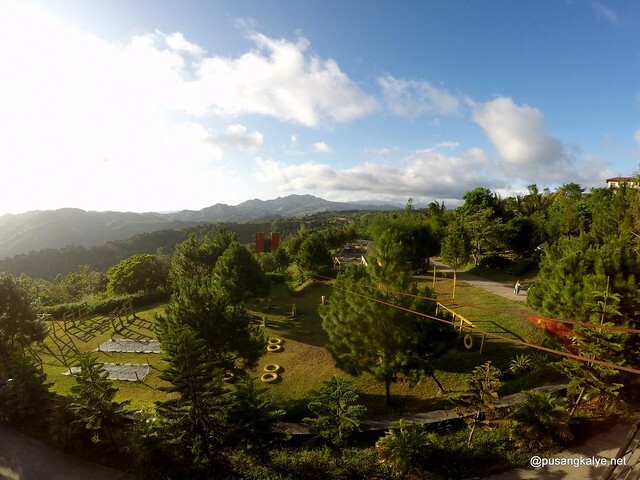 Your standard of zipline after trying this one will change. I am so proud of our young girls for braving it. 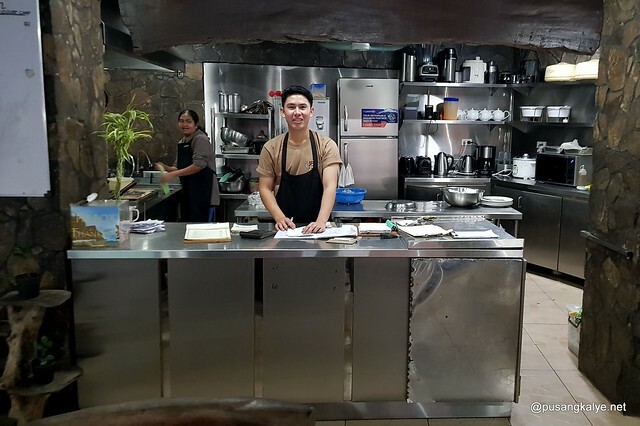 This one was not yet open on our 2nd visit so we were excited to give it a try. One can notice this big red wall from Camp Cafe and it is a short leisurely walk downhill from there. First,I like the location. No better area than where they placed it. From a concrete road, you go down several steps through pine trees. Up close, the wall looks gorgeous. It is orange and huge. The ground before it is paved. Spacious to accommodate big groups for team building. They also put up a shed which is very helpful for spectators and those waiting for their turn. 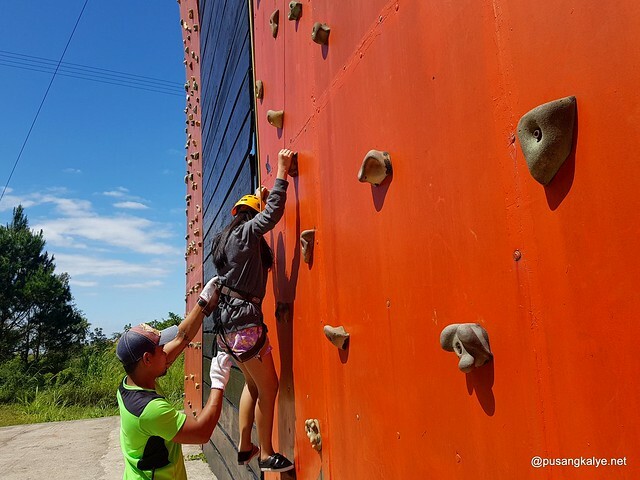 Two persons can climb the wall at the same time with each side of varying difficulty. We decided to climb on the right side which is relatively easier. 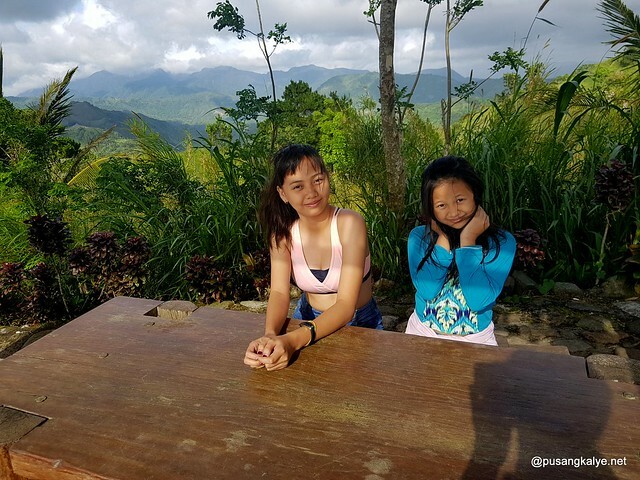 The first to climb was Jhanine, our niece. And just when we thought she would get scared, she actually managed to make it to the top and tpuch the last rock! And she's only 10 years old! We were all at awe. Angel went next and she did it too! Wow. My wife went third and she managed to climb up to 90% of the entire 60 ft wall. I was the last to go and it was a shame I only got to 45% height. Not even half! Quite a shame. My wife laughed her heart out. Climbing was easy. I had no trouble pulling myself up. I was actually quick but at one point I saw the ground while finding the rock i was to step up and I suddenly realized I still have fear of heights. 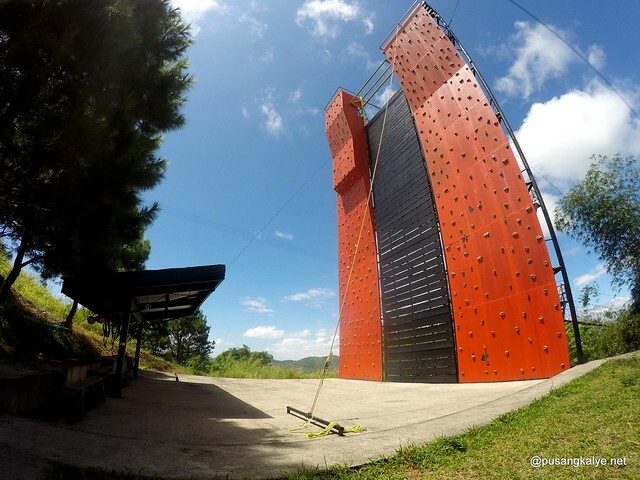 Behind the Rock Wall Climb is Free Drop utilizing the massive metal support of the former. The one in charge of the activity though was off so we didn't get to try it. 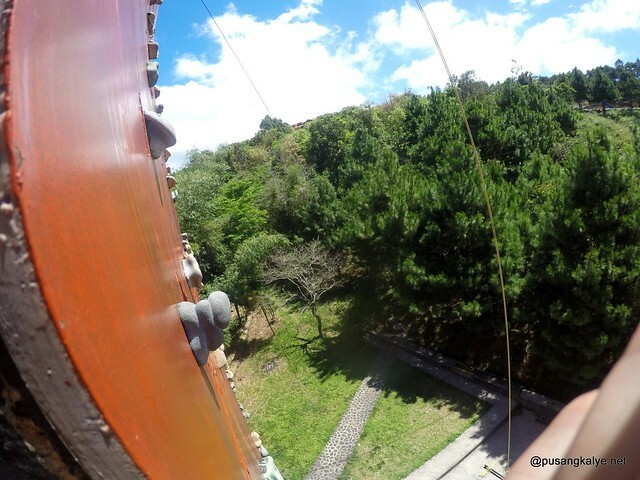 I did climb up though and enjoyed the view from there while wifey and the kids crossed the hanging bridge which was one of the first additions to the attractions at Ten Cents. 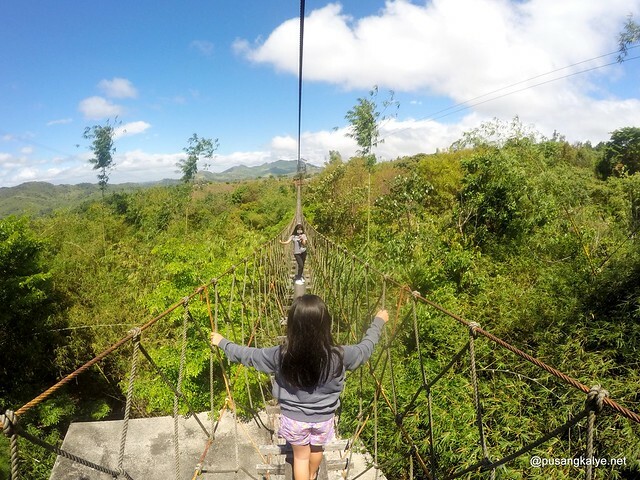 It is a very long suspension bridge that is pretty scary ( but fun) to cross if you have fear of heights like I do. 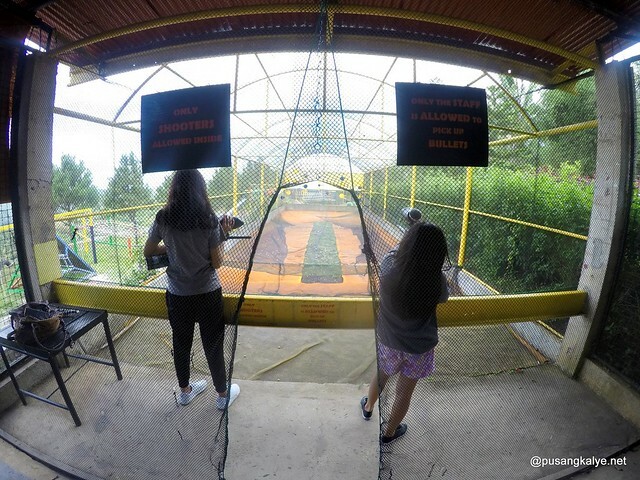 Shooting Range is one of the newest activity you can do at Ten Cents To Heaven. 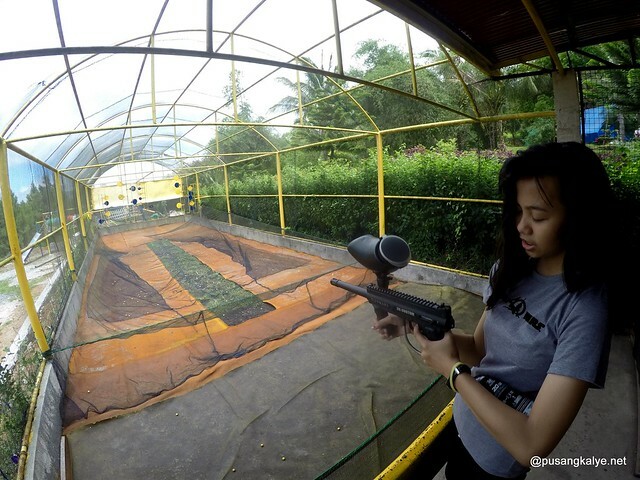 You can shoot targets using an airsoft gun which uses soft rubber bullets instead paintball. It was very good for practicing how to lock in on targets at a controlled environment. It was so easy the kids enjoyed it. No special gear needed too since it is pretty safe. For 300 pesos you get 50 soft rubber bullets at your disposal. This one attraction many day-trip visitors enjoy here. 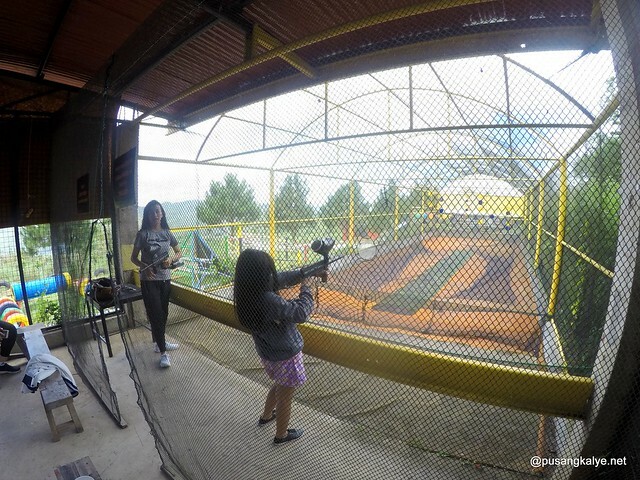 I was told they are thinking of puting up paintball fight game facility soon. I think that's gonna be exciting. 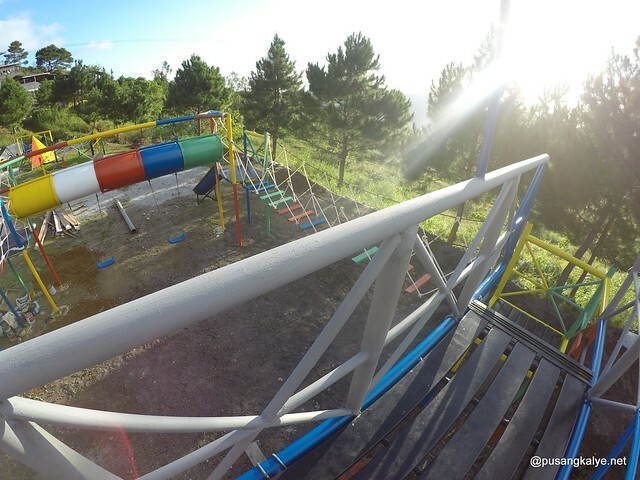 This was yet to be officially opened on our visit but this is a welcome addition as kids will surely enjoy the different obstacle course. Colorful, fun, challenging. 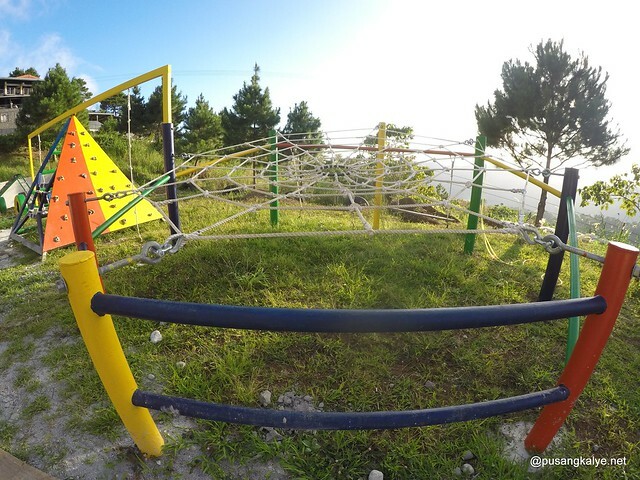 Kids will enjoy it. 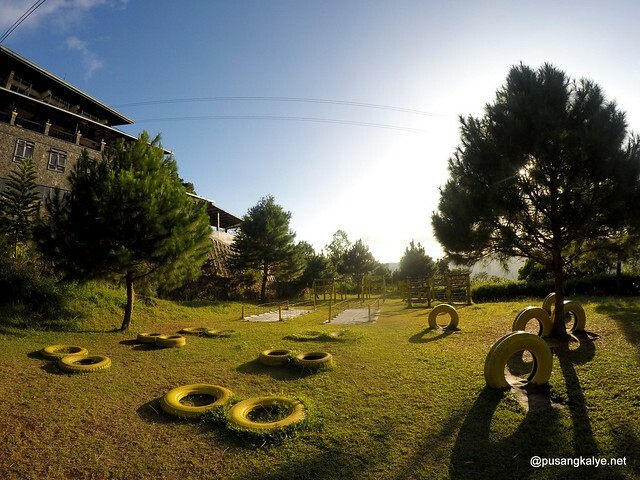 The play area is just below the shooting range. 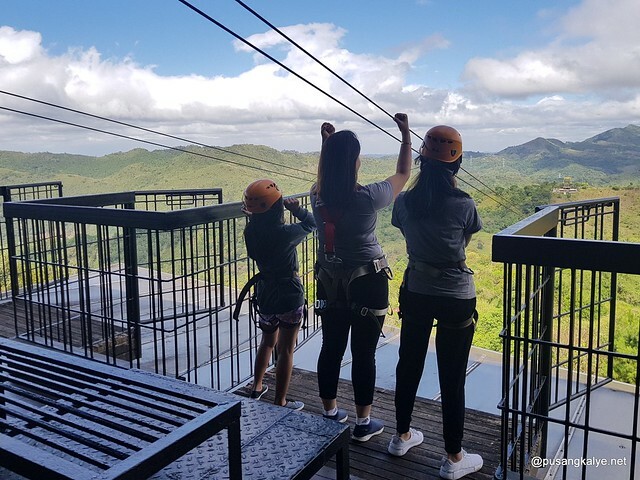 Ten Cents To Heaven has become a popular venue for team building activities of many companies from Metro Manila. 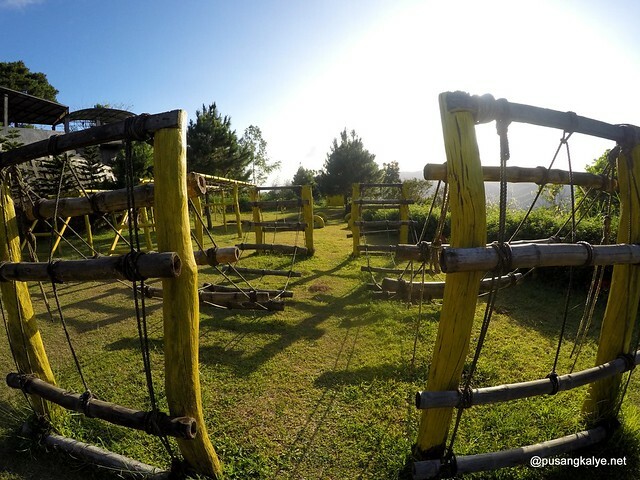 The obstacle course just next Camp Cafe is to test trust among team members and build camaraderie. The are where it is located is vast so it doesn't matter how big your team is, space is not a problem. 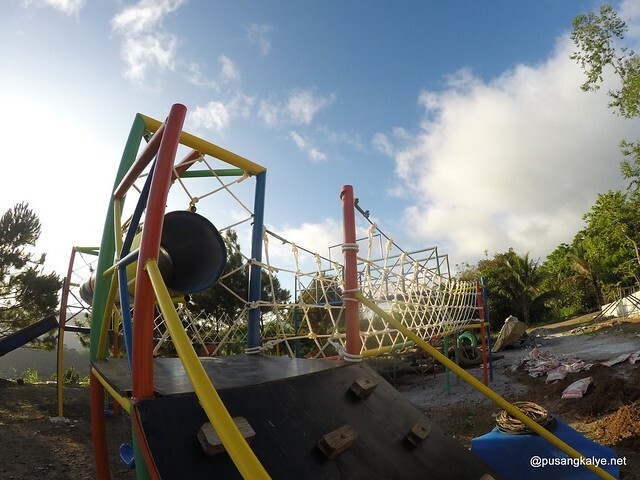 To the kids we were with, this is a big playground they enjoy. Probably one of the most popular attraction here is Camp Cafe. It is an all-day dining situated at the 1st and 2nd level of a huge building at one of the highest section of Ten Cents To Heaven. That said, the view here is amazing day in and day out. 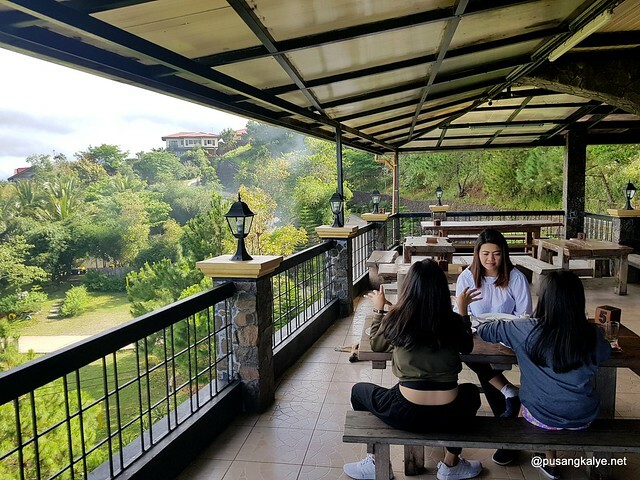 Many go here on a day trip to partake the experience of having a good meal while enjoying the scenery. 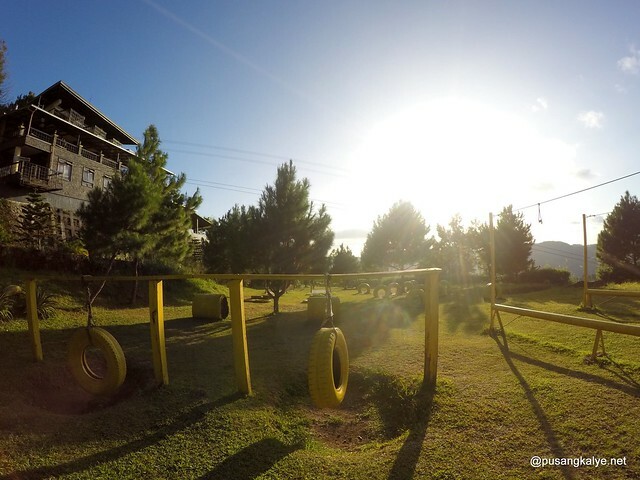 The ambiance is Baguio-ish, thanks to the pine trees around it and the cool weather of Tanay. 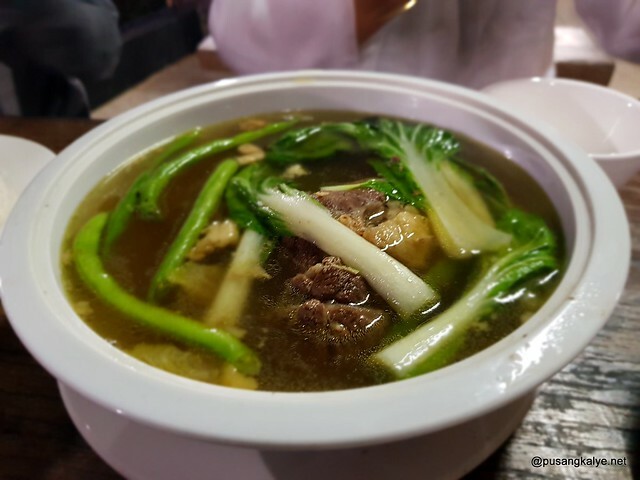 If one can notice, Tanay is fast becoming very popular with Bulalo, like that of Tagaytay, because a hot bowl of Bulalo is indeed perfect for a mountain weather. 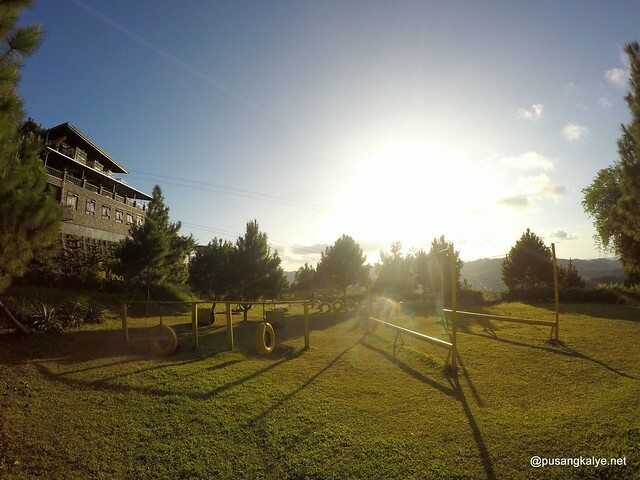 Their Bulalo at Ten Cents To Heaven Leisure Camp is something you should not miss. 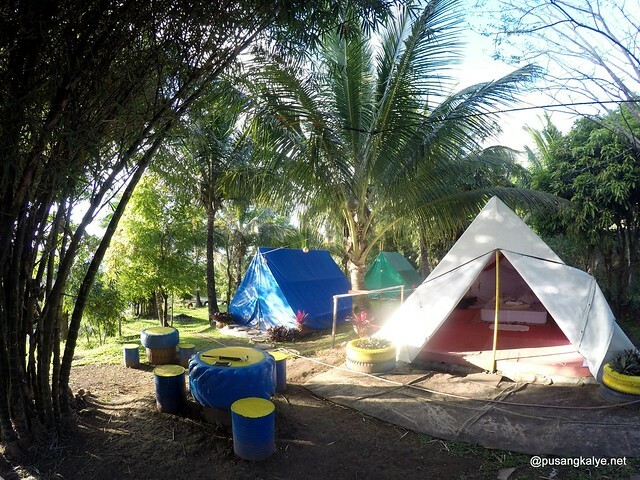 "The Campsite is located near the Teambuilding Area and under large shady trees equipped with water and electricity. 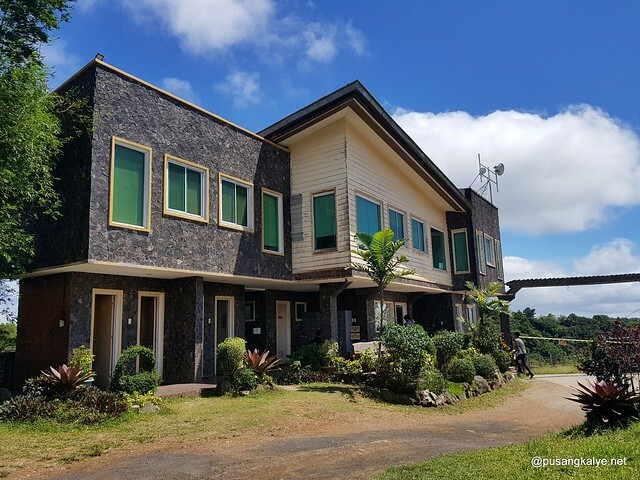 This is ideal for guests who would like to spend a night out in the great outdoors and experience all the things that mother nature has to offer." I quoted that from the website and that's what I exactly wanted us to experience. 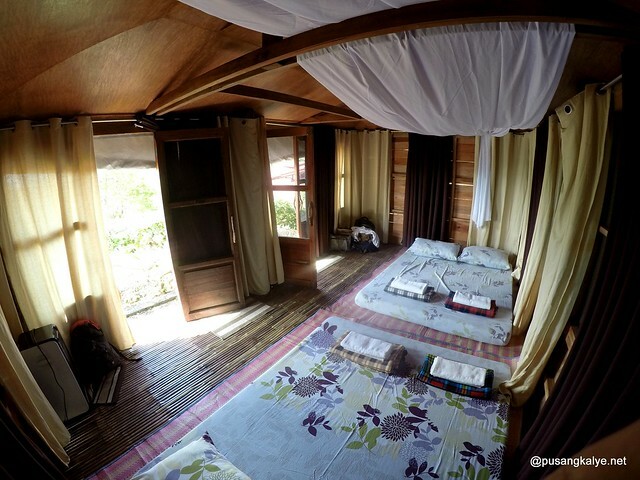 At least in my case because I have already reviewed so many hotels, and though I love the comfort of an airconditioned room with cable tv, hot shower and all, the opportunity to camp in a sorrounding as lovely as this is just too tempting. 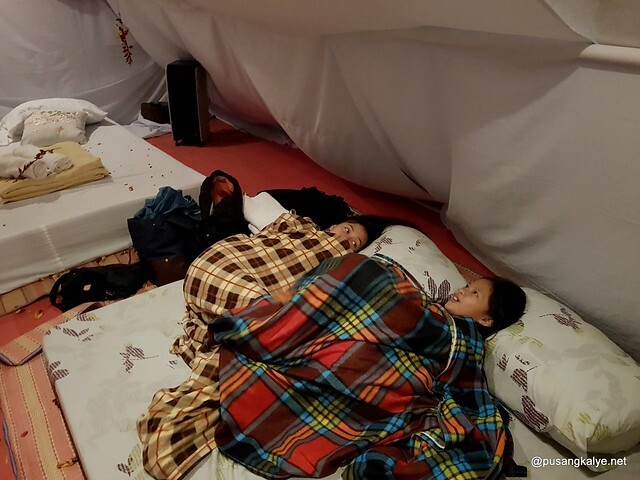 My wife ( being a girl scout coordinator in Mandaluyong) initially didn't like the idea much so we chose the Cabana accommodation below the pool area. 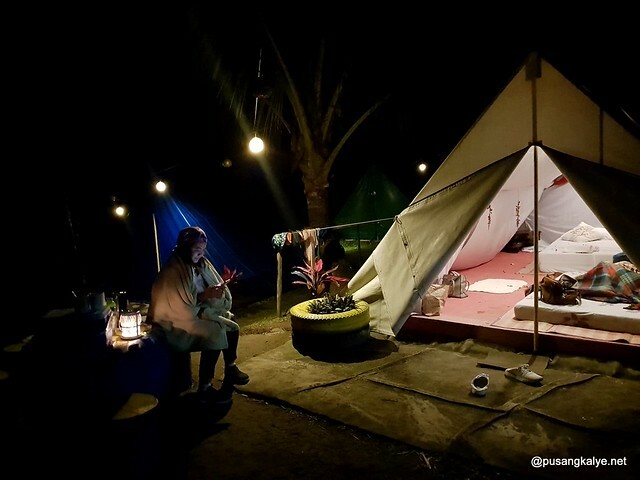 But when we saw the campsite, of how inviting the area is plus the romantic main tent glamping setup, we unanimously agreed to request that they transfer us here. 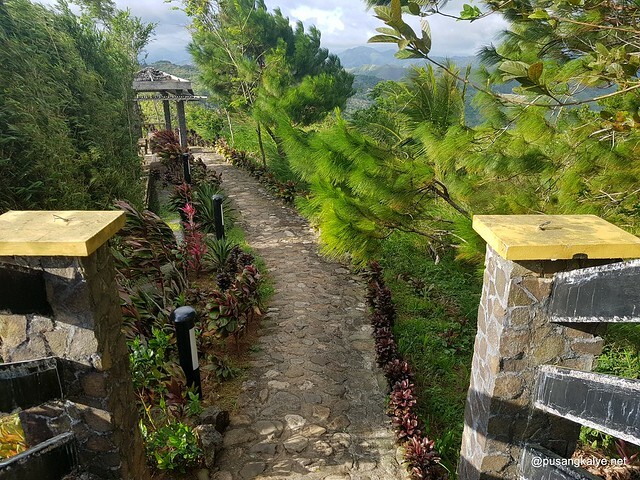 There is a dedicated restroom in the campsite so that is a big plus for us, plus it is near Camp Cafe which is a big comfort factor since walking to and from the cabanas for breakfast and dinner could be a pain. We felt so secure here at night thanks to the light bulbs hanged around the campsite. 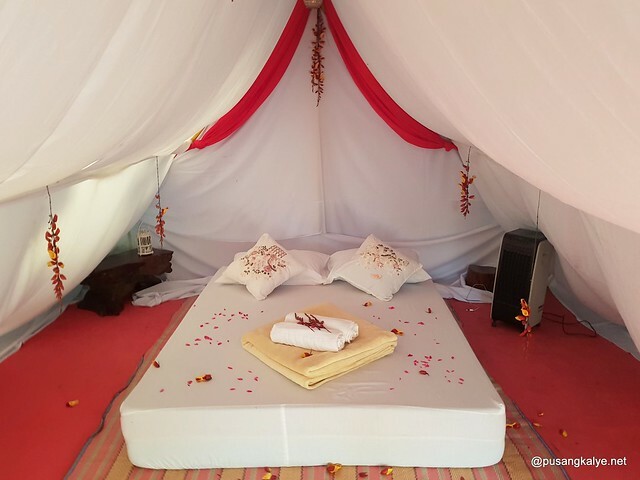 It helped that the glamping tent has a thick mattress foam for a comfortable night sleep. There are three other tents in the site but only one is for glamping. We were so lucky. We came on a Sunday and we saw a few campers packing up their own tents they brought. So yeah, you can also bring your own tent and camp here. Oh, did I mention we even had bonfire that night? 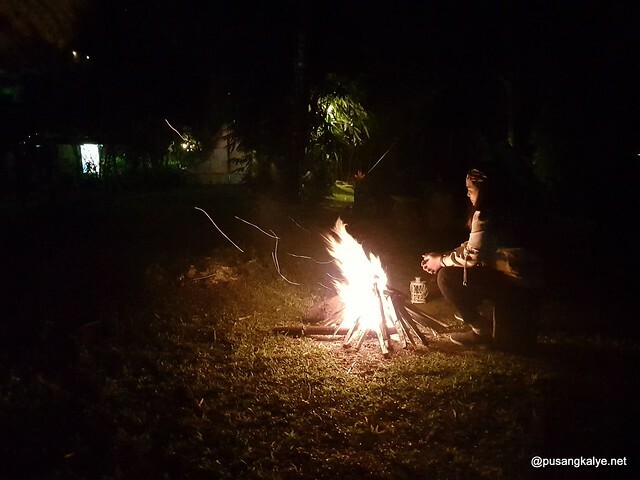 It was one of the most memorable camping experience for me. Of course, the main accommodations at Ten Cents to Heaven are the 1. Big house and 2. Glass Accommodation. These are ideal for groups and families and for those who value comfort. 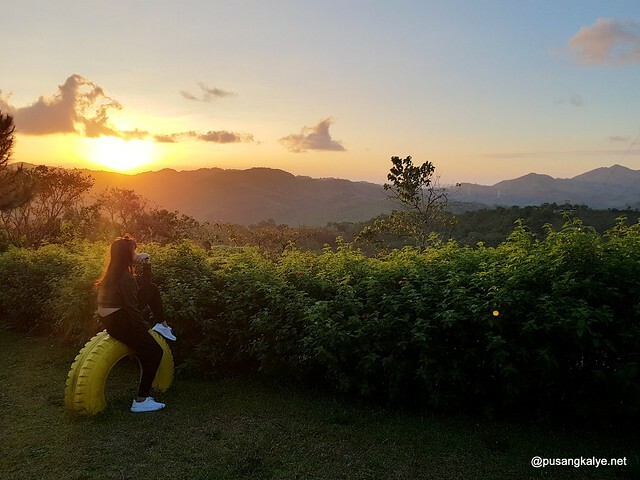 Ten Cents To Heaven is the perfect set off point to some of the most popular attractions in Tanay Rizal and surrounding areas. Minutes away are Regina Rica, which a very popular destination for religious devout. 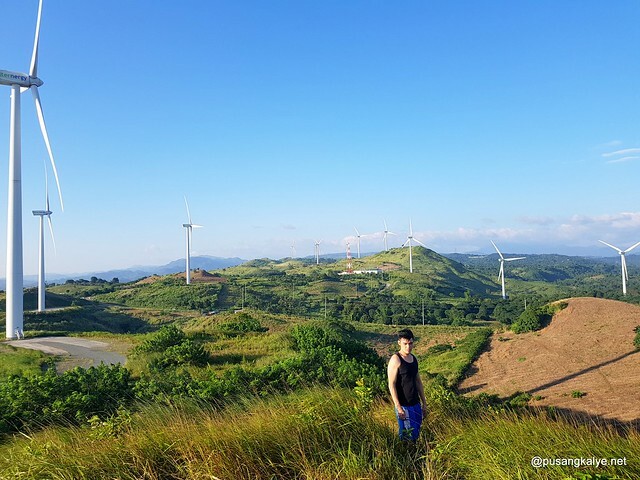 Pililla Windmills, which attracts so many visitors daily is also an easy access via Sampaloc entrance. 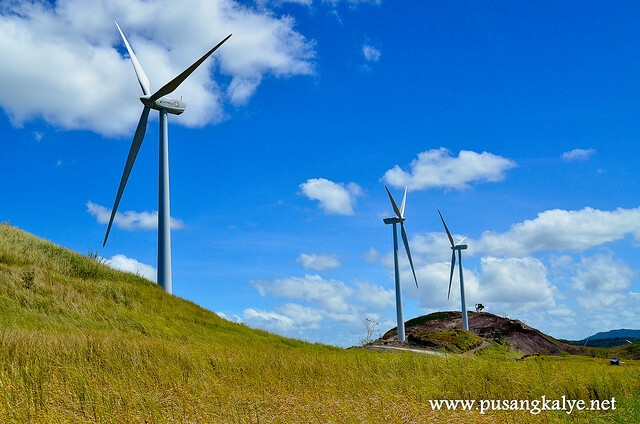 Pililla Windmills actually ranks #1 in the most visited posts in my blog with 320,000 ++ views to date. Thats how popular it is. 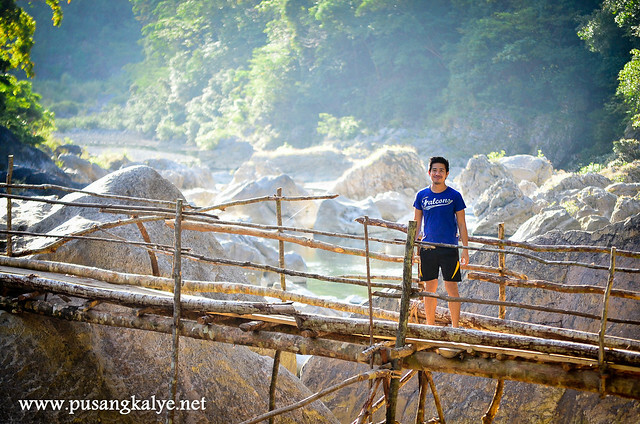 Also at Top 10 is Daraitan/ Tinipak River which is also very accesible via Ten Cents. 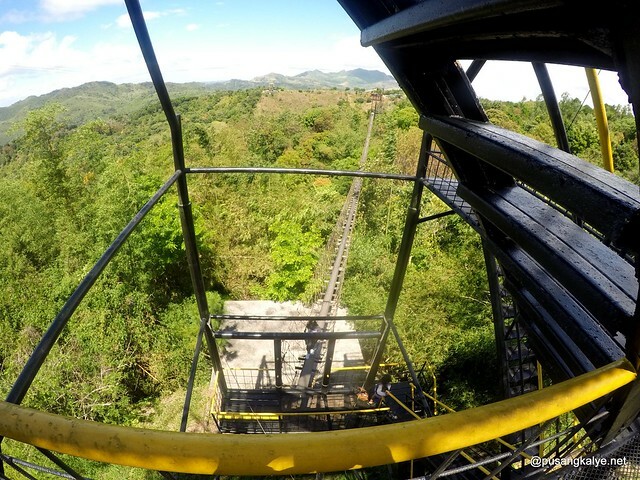 And I learned just recently that Masungi Georeserve could be seen from Ten Cents. 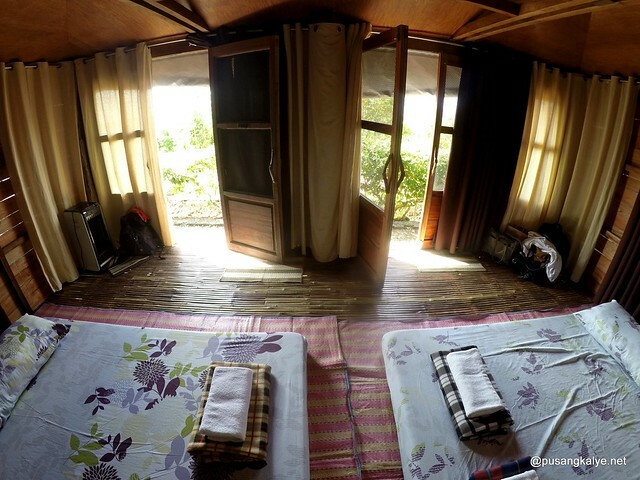 I have given up with Masungi a long time ago since it is difficult to get reservation there but it is a good attraction bundle to try when staying at Ten Cents.